This is blog post two out of four in the Fresh Relevance Travel Series. Travel companies are in a unique position in that they have an abundance of data at their disposal due to the nature of their business. 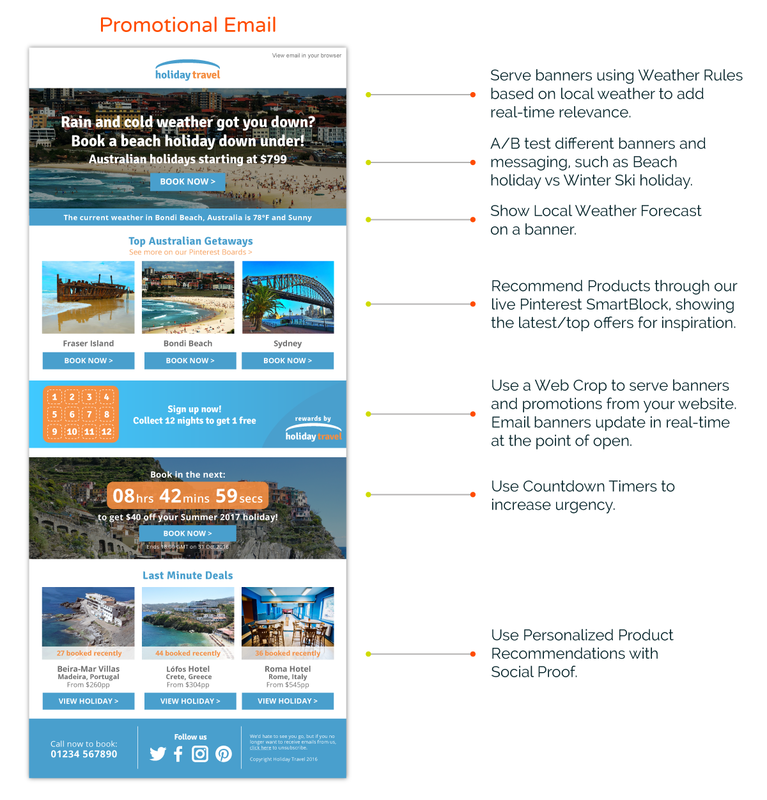 Using data such as destination, dates, budgets, categories and products browsed, even perhaps a birthday, travel companies can build robust and highly relevant triggered email campaigns to increase sales uplift and engagement. Let’s take a look at 2 email examples using Fresh Relevance features. 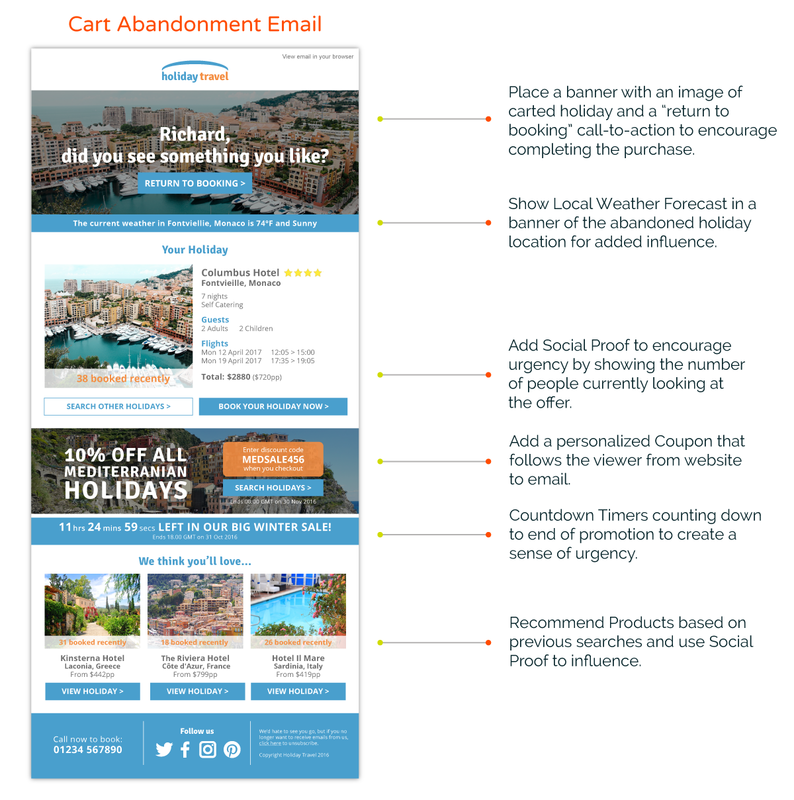 In addition to the included examples, cart abandon and promotional, Fresh Relevance also powers browse abandon and post-purchase emails. All integrated with real-time tools and features. The next article in our Travel series will feature expanded examples and explanations of our real-time live features such as countdown timers, coupons, live pricing, social proof, personalized banners and more. Fresh Relevance offers an exciting set of tools that drive revenue and engagement within your existing email and website platforms.